Andrew established Charnock Hughes in 2013 to provide high quality mortgage advice. Andrew has built a team with a passion about finance that is the key to getting our clients the right result. Having graduated from Warwick University, Daire began his career as a mortgage adviser at Alexander Hall in 2001. From there he moved to Savills Private Finance and headed up the Oxford office in charge of the home counties. Daire joined Charnock Hughes as Managing Director in 2014. A specialist in complicated transactions for High Net Worth Individuals, Daire utilises his experience to structure debt for his clients across the UK. 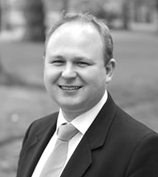 Matthew has over 10 years experience in property finance, having worked both in banks and large London brokerages. Matthew joined Charnock Hughes. in 2016 and has built up a loyal client base. Focusing on his individual client’s needs has given him an extremely wide range of experience and knowledge in residential and Buy-To-Let mortgages. Matthew prides himself on taking care of the property purchase, or refinance, process from start to finish leaving no stone un-turned to make sure his clients expectations are met. Having started his career at Coutts & Co looking after High Net Worth individuals resident in Europe, Rupert has gained over 30 years of experience in finance and investments. Since taking early retirement from Coutts and joining Charnock Hughes he specialises in both residential and Buy-To-Let helping remove the stress from the application process. Rupert builds his business on good service and a willingness to take great care of the people he is dealing with to achieve the desired result. Jamie joined Charnock Hughes in 2016, having spent the previous 10 years as a Bank Manager. During his banking career, Jamie looked after private clients, high net worth clients, rural and landed estate clients. Jamie continues to serve these clients, having built up an excellent reputation in the Cotswolds, Midlands and the South East. Alistair has been in financial services since 2004. He started his career with RBS progressing to Santander then John Charcol before joining Charnock Hughes in July 2017. Alistair specialises in complex cases, often involving multiple income streams, unusual properties or nonstandard personal situations. As well as providing quality, individual advice to his clients, Alistair prides himself on his customer service, economic understanding and industry knowledge. Throughout his career Alistair has built up strong relationships with underwriters at a number of smaller, bespoke lenders, allowing him to place difficult cases that other brokers might struggle with. There will be a fee for mortgage advice. The precise amount will depend upon your circumstances but we estimate that it will be 1% of the loan i.e. £1000 on a £100,000 mortgage. Charnock Hughes Ltd, registered in England & Wales at 39 Chobham Road, Woking, Surrey, GU21 6JD (number 08548866). Charnock Hughes Ltd is an appointed representative of Primis Mortgage Network (Primis), a trading name of Advance Mortgage Funding Limited which is authorised and regulated by the Financial Conduct Authority. Primis is only responsible for the service and quality of advice provided to you in relation to mortgages, protection insurance and general insurance products. Any other product or service offered by Charnock Hughes Ltd may not be the responsibility of Primis and may also not be subject to regulation by the Financial Conduct Authority. The Financial Conduct Authority does not regulate commercial mortgages, and some forms of Bridging Finance & Buy to Let Mortgage.